This is one of my favorite go-to meals, when I don’t feel like cooking and am feeling rushed; breakfast, lunch, or dinner, included. So easy and so flavorful! 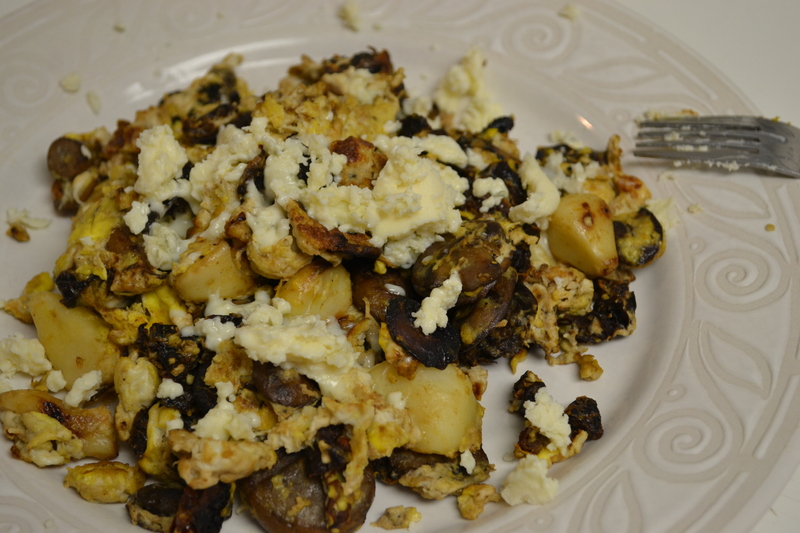 This entry was posted in Recipes and tagged Melissa's Sun Dried Tomatoes, Organic Valley Eggs, Paleo, Scramble by livinglikelinds. Bookmark the permalink. Holy yum!!! 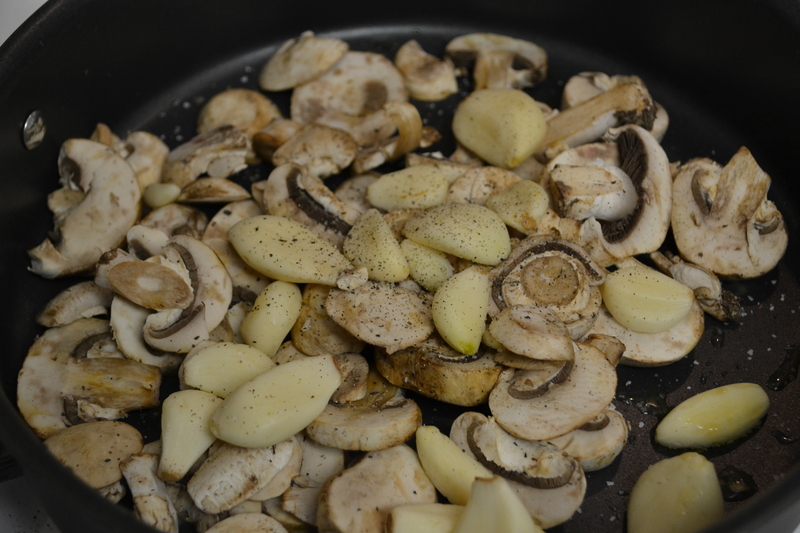 My bf says I eat too much garlic, he hasn’t seen this recipe though… I bet it would be awesome if you roasted the garlic first too! OH YUM. 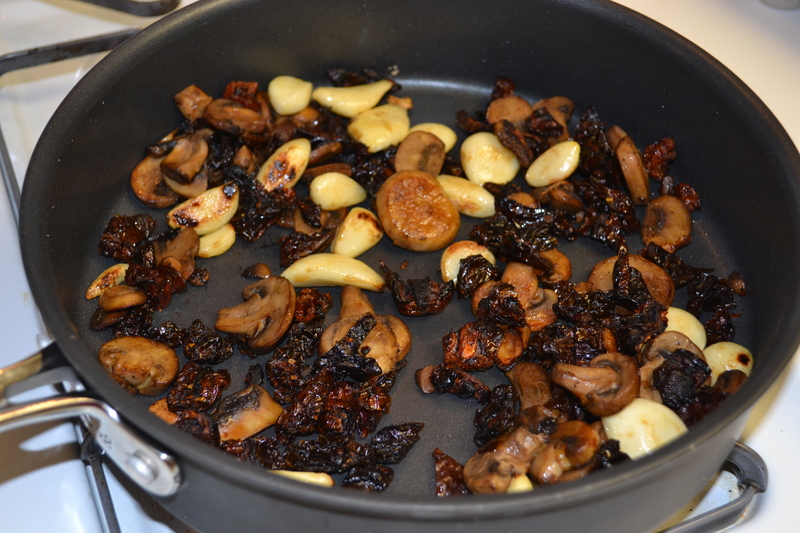 I’m going to try this though, I have never cooked a full garlic clove! Holy yum is right 🙂 Honestly, until about 4 months ago, I always cut or minced garlic. Now I NEVER do that, and always use whole in soups, roasted/baked dishes, etc. 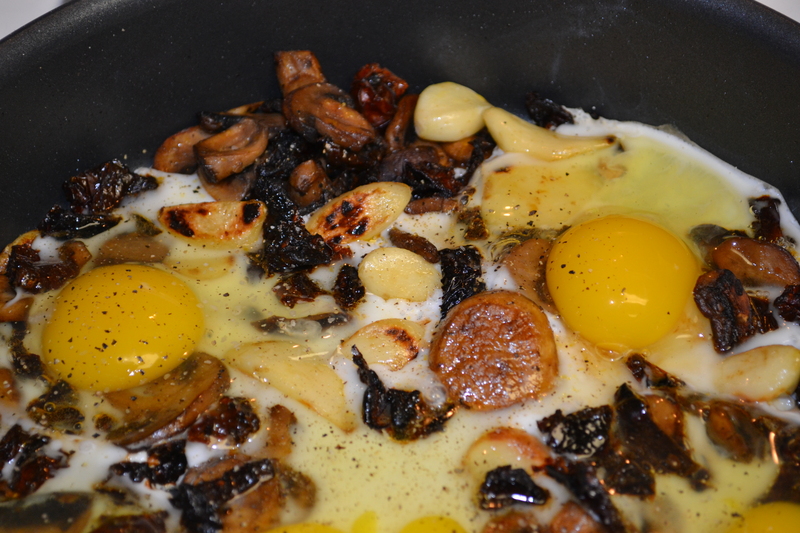 In this egg scramble, I covered it for a period of time to let the heat soften the garlic. It tastes exactly like roasted-without roasting first!! YUM!!!! We should make this when you are here in November! Definitely! So easy and good.